HOLLYWOOD—Susan Lacy has profiled numerous luminaries over the years in her documentaries, including conductor/composer Leonard Bernstein, filmmaker Steven Spielberg, musician/singer Joni Mitchell and actress/singer Judy Garland. 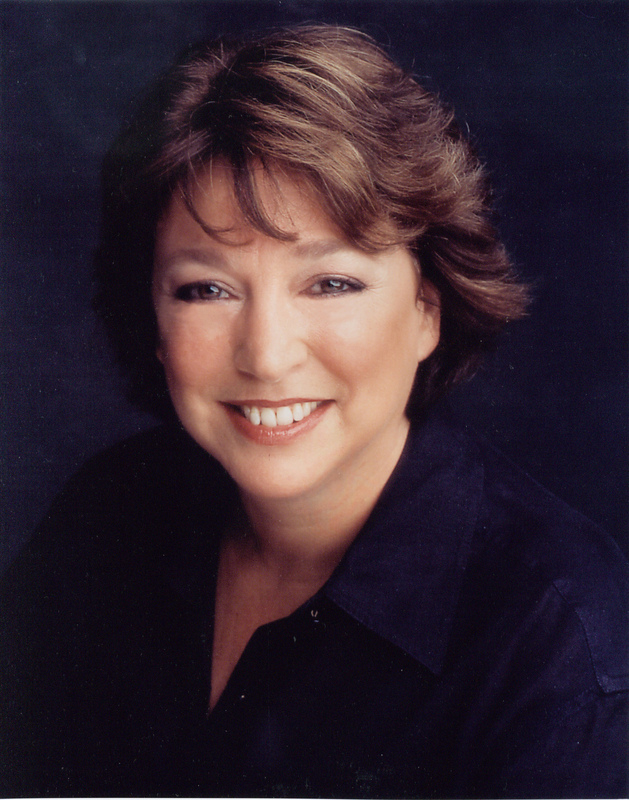 She created the “American Masters” series for PBS, which has won 14 Emmys over the past three decades. Five years ago, she moved over to HBO to produce and direct documentary films. Her latest project for HBO is “Jane Fonda in Five Acts,” which delves into the life and loves of the controversial Oscar-winning actress and activist. It airs Monday Sept. 24 at 8 p.m., on HBO. 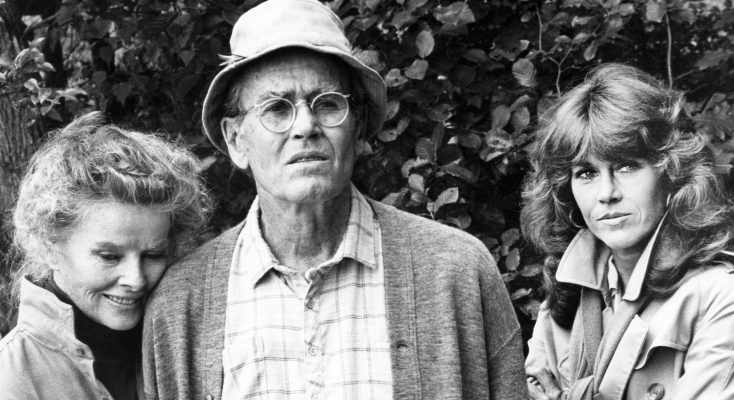 The documentary spans the eight decades of Fonda’s life thus far—from daughter of beloved Hollywood actor Henry Fonda, with whom she had a tumultuous relationship, to her three husbands—filmmaker Roger Vadim, activist Tom Hayden and media mogul Ted Turner—to her return to activism—solo—in her golden years. Lacy recently spoke by phone about making the film about a woman who has led a remarkable and complicated life. Q: Did you plan from the outset to make this film in five acts? Lacy: I did fairly early on. Jane’s book doesn’t divide it that way but she says she wrote the book because she wanted to understand the first two “acts” (of her life) in order to know how to live the third. So, the notion of “acts” was in my head from reading the book, which I read a long time ago. As I was going through my transcripts and archives, I realized she really was a different woman. First is the overriding influence of her father, who she was constantly trying to please. And then three husbands—with each one she became who they wanted her to be and tried to please them. So, she was able to shed herself of that and become a fully realized Jane. It was kind of logical (to tell the story in five acts) to me. Each husband is a clearly defined time in her life and they’re all entirely different. Q: It was a long growth process for her. Lacy: And she will say she is still a work in progress. Q: You were able to get her to talk about some very personal matters including her mother’s suicide. Did it take some time to get her comfortable enough to open up? Lacy: I did about 12 interviews with her and each one was close to two hours. My interviewing technique is very much conversational. I’m very prepared and I know what I need to get and I never look at my notes. So, it became kind of an extended conversation. We didn’t talk about her mother in the first interview. You have to build to that. You have to build the trust and comfort. It wasn’t easy for her to talk about it. You can see that in the film. She even says, “This isn’t easy to talk about.” It wasn’t easy for her to talk about her father or her second husband, Tom Hayden, falling in love with someone else. She talked about not being a good mother to Vanessa (her daughter with Vadim). She had to learn how to be a mother because she didn’t have mothering of her own. There’s so much emotional, tender stuff in this film. There were moments in the interviewing where Jane and I both were teary. I think she trusted me. She’d told these stories in her book. It’s quite a different thing to write about it in the solitude of your writing room and 17 years later to revisit that with a camera, knowing millions of people are going to see it. I think Jane understood that there are so many elements in her story that people can relate to—maybe not all of them but one of them. A lot of people have had difficulties with their parents or a child or an unfaithful husband or body image issues or other insecurities. She felt committed to being honest in the film because it could help people. I really think that’s why she was able to go there with me; she thought it would be helpful. Q: You’ve made other films about famous people. How did this experience compare with previous projects? Lacy: A lot of people I’ve made films about like Leonard Bernstein, Judy Garland, Rod Serling weren’t alive. That’s one big difference. Making a film about somebody’s who’s alive is different. The degree of candor and the incredible drama of her story was more intense. My documentary on Joni Mitchell had drama but her story comes to life with her music. Leonard Bernstein’s story comes to life through his conducting, compositions, teaching, and the diaries that I had. But I had somebody with a dramatic story who’s willing to share it. Steven Spielberg was pretty open too but his life isn’t as dramatic. His movies are. My choice was finding Steven in his movies. The movies were front and center to a large degree. The work. Jane’s story is just so human. There is, of course, her movies, but that’s not her. Her work is not the story of Jane Fonda. I guess that’s the difference between this film and the others I’ve made. And, of course, there’s an incredible archive to help tell that story. That’s also one of the reasons I wanted to do it. I knew there was an amazing archive to work with, and that’s not always true of everybody you make a film about. Most of my subjects, like Judy Garland, you have all the movies and concerts but not the kind of archives that I had with Jane. Even Spielberg didn’t have that kind of archives. Jane’s life was really documented. Q: Having interviewed Jane Fonda 12 times, what was the most surprising thing you discovered about her? Lacy: First of all, she’s the most professional person I’ve seen. She never canceled. She always was on time, always prepared, always completely there. She’s incredibly disciplined, which didn’t surprise me, but I was impressed with it. I think her vulnerability. She is who she is. She’s amazing, brilliant, talented, committed—all of those things—but underneath that is a very tender human being. That surprised me and I hope it’s clear in the film. I think that’s why people have been touched by the film. She’s always going to be vulnerable; her best friend says it and her son says it. Q: Did you finish this before the 2016 election? Lacy: No. Because I have her at (anti) Trump rallies. I locked picture a little over a year ago and it premiered at Sundance in January and then it was at the Cannes Film Festival. Q: Because it seems like now with Jane, there could be a sixth act. Lacy: Robert Redford says she puts me to shame. No grass grows under her feet. She’s just ever-going. As her son says, (her activism) “keeps her demons at bay.” Those are the things that are very relatable. It’s not like she says, “I’ve done all this and now I’m perfect and my life is perfect.” She’s still struggling with the same things she’s always struggled with, only now she has a deeper understanding and has a little more forgiveness for herself. Forgiveness is very liberating. Q: One of the moving scenes is her interacting with her ex-husband Ted Turner, who seems to be very much in love with her still and wishes she was still living with him. Lacy: He says, “My life was happier with her than it has been subsequently. We both survived but my life was better with her.” That was an amazing moment for me. I almost was in tears during that interview with him. It was so touching and sad. On the other hand, he was unwilling to make changes that needed to be made in order for her to stay with him. She didn’t leave him lightly. She loved him. She was pretty angry with him for being unable to change his ways and allow her more freedom. He just could never be alone. He wanted her to be with him all the time and there were other things she needed and wanted to do. She didn’t want to have to negotiate to go to a Women’s Conference in Beijing. She wanted to be able to go. So, she chose Jane. She chose to have a life in a way that was satisfying to her. It was a very brave move for her as she hadn’t worked for a while. She was out of the movie business. She wasn’t rolling in money. If was brave for her to be alone again at her age. Q: Did you show her what you were putting together as you edited the film? Lacy: I showed it to her before I locked picture. She didn’t have any control over it. But if there was something she had a problem with or something I felt was valid, you want to know about it. You don’t want your subject to hate your film. She didn’t see it until it was basically finished. There were only two things that she asked and they were both extremely valid. They were things I should have thought about. One is that I had not made it clear that she was cleared of treason. There was no reason for treason charges to be brought against her so that was a valid thing she asked me to make clear. I hadn’t realized I hadn’t made that clear. The other thing was that she wanted me to clarify that she and her daughter Vanessa are working on their relationship. She asked me to add something that made that clear. She was absolutely right to ask that because they are working on it. I don’t want to give the impression that the reason (Vanessa’s) not in the film is because she’s not speaking with her mother. She just didn’t want to be in the film. She’s probably not as comfortable talking about things as her brother is. But that was it. She was thrilled to see the film. She’d never heard the Nixon tape. She’d read it, but she’d never heard it. From the beginning, she was like “This is great! I love that you started with that!” I watched it with her and we were gripping hands. I was nervous about how she was going to feel and she was nervous about what I’d done. She was very silent afterwards. I think she was very moved by it. To me her story is about women; women in our time, so it’s quite universal.